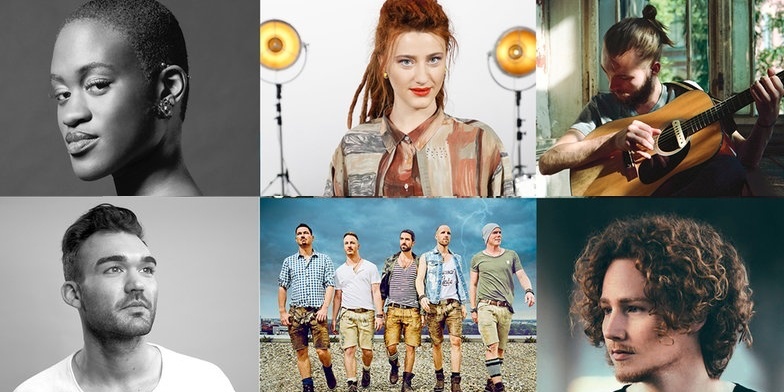 The six contestants for the German national selection "Unser Lied für Lissabon" have been revealed by broadcaster NDR. The selection is based on the voting results of the 100 members European Panel and the 20-members International Jury, out of 4,000 possible participants to choose from. "Unser Lied für Lissabon" will be held on 22 February 2018 at 20:15 CET, live from Berlin. Hosts are Linda Zervakis and Elton. Up to 15 songwriters and producers will compose the contestants songs together with the contestants, in a three-day songwriting camp.